This MOC reminds me of so many things, though not exactly because it looks like them, but more so because its an underwater vehicle. For the record, the main ship it reminds me of is called SeaQuest submarine, which was part of a TV series that took place about a decade and a half ago and had an advance submarine. This build looks nothing like it, but for some reason the reminder is there. Irrespective of that, though, this build is downright phenomenal. I’ve never seen anything like it before, and can definitely see this hitting people’s “wow” factor. If you do enjoy it, make sure to give Markus Ronge a follow on Flickr and check out the rest of his work. What say you? Like, dislike? Let us know either way! Posted on March 8, 2018 April 29, 2018 Categories Creativity, MOCs, VehiclesTags MOCs, Ships, Submarine, Swordfish Class, USS Marlin, VehiclesLeave a comment on The USS Marlin! This is an intricate, and yet, quite a unique build. It reminds me of many other builds, ships, crafts, et al, and yet, it has a complete identity of its own. That said, what say you? Is the build run-of-the-mill, or is it something more? Either way, this build, like many others, makes me want to create something myself. And that my friends, is the main anchor for a MOC having succeeded in my eyes. I definitely appreciate it for that, and more. 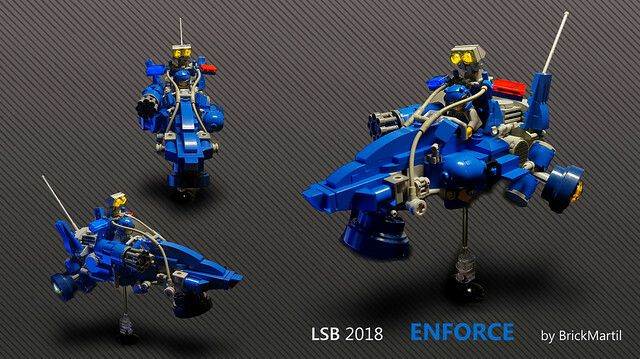 Below follow BrickVault’s top 10 MOCs of the week. Enjoy!